If you’re anything like me, then you wish Halloween was a year-round celebration. I appreciate anything that is a little bit creepy, a little spooky, and hella cute–especially if it reminds me of Halloween. I was really bit by the Halloween bug this year, with making costumes and decorating and all, so I went searching for items that would give me that warm Halloween vibe all year long. Here are the spoopy items that give me those creepy-crawly (yet comforting) feelings*. I discovered Witch Baby Soap on Instagram, and I’ve always wanted to try out their products. 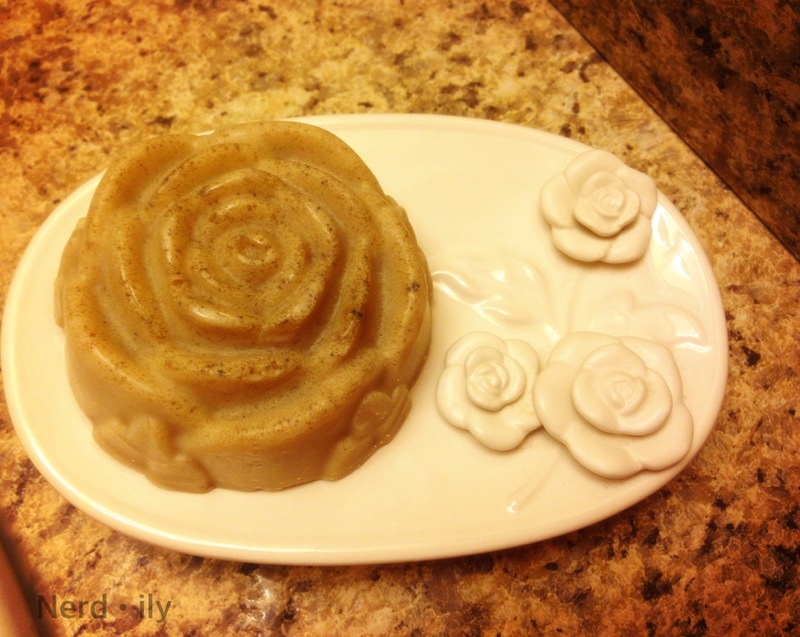 If you’re not familiar with Witch baby Soap, they are a small business that produces all-natural bath and body goods like soaps, scrubs, and body butters. Their products always have an ethereal vibe to them, and they offer many Halloween-themed/spooky goods. Unfortunately, their Halloween items are currently sold out, but they do carry plenty of items with that Halloween aura. Some spooktacular items I recommend include their Graveyard Body Butter and Medusa Face Soap, which I love. 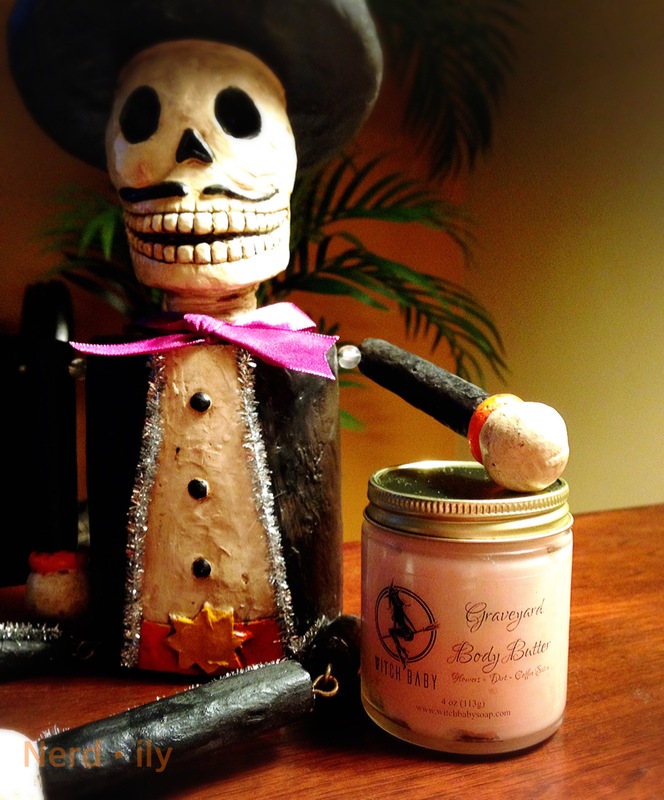 The Graveyard Body Butter is described on the site as a blend of “funeral flowers” and a “freshly dug grave.” The jar also mentions the essence of “coffin satin” as another scent note. The complex smell is incredibly pleasant, and the body butter leaves my skin feeling richly hydrated. It definitely gives me that creepy, undead vibe. Along with the Body Butter, I picked up a bar of their Medusa Face Soap. This product isn’t necessarily Halloweeny, but I figured it fits with the theme. This soap is formulated with ingredients to help “acne prone or oily skin,” such as “restorative Valencia orange and lime essential oils” and “purifying sea clays, moisturizing coconut milk, nourishing aloe, and mineral rich seaweed.” This soap doesn’t dry out my skin, and keeps it smooth and oil free. Witch Baby Soaps also included a soap sample of Hex Breaker in the shape of a maple leaf, which smells amazing! They carry other spooky-cool items all year round like Ouija bar soaps, Blood and Milk bath bombs, and products that utilize ingredients that are well-known for their healing or spiritual properties, which I LOVE. Definitely check them out! If you’re on the up-and-up with the latest in beauty trends, then you may have heard of FeatherRiverBody‘s Pumpkin Spice Latte Highlighter/Eyeshadow. I watched Grav3yardgirl’s review of it on YouTube at the beginning of the month, and decided that I had to try it for myself. Now, I love autumn, and all of the sights, tastes, and smells that come with it. Though I’m not driving the pumpkin spice bandwagon, I do like it in certain things. When I heard that this highlighter was named after the famous Starbucks drink, it piqued my interest enough to go check it out. I fell in love with the shade. I like how unique of a color this product is for a highlighter, and the warm glow it gives. 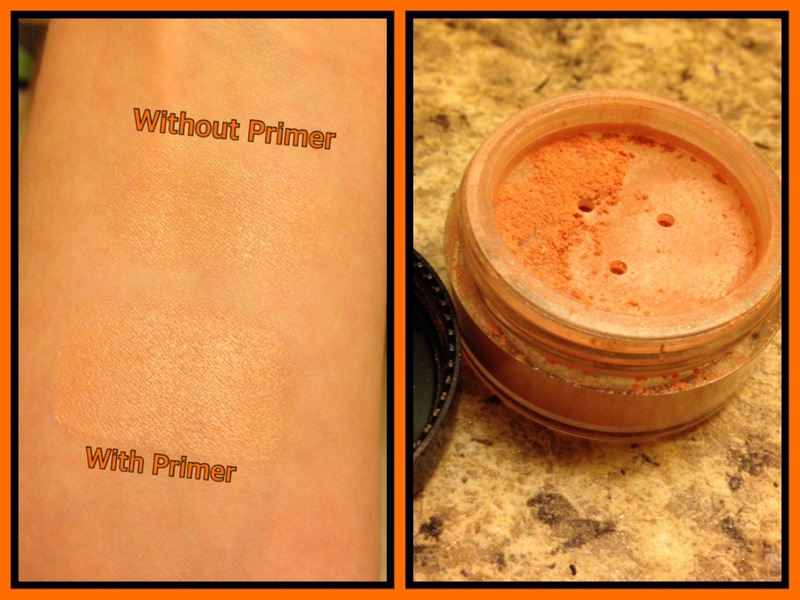 I’ve been pairing this shade with their matte Redstart eyeshadow for an autumnal look. Great pigment and staying power. Two Franken-thumbs way up! Fictitious Fragrance is a shop on Etsy that sells nerdy-themed home and body goods like candles, lip balms, and roll-on perfumes. All of their scents, candles, and lip balms are homemade and natural, so the quality is top-notch. I discovered them on Pinterest a while ago, but bought their products this past May when I went to ACen. I’ve been wanting to buy more of their products after I sampled their roll-on perfumes. 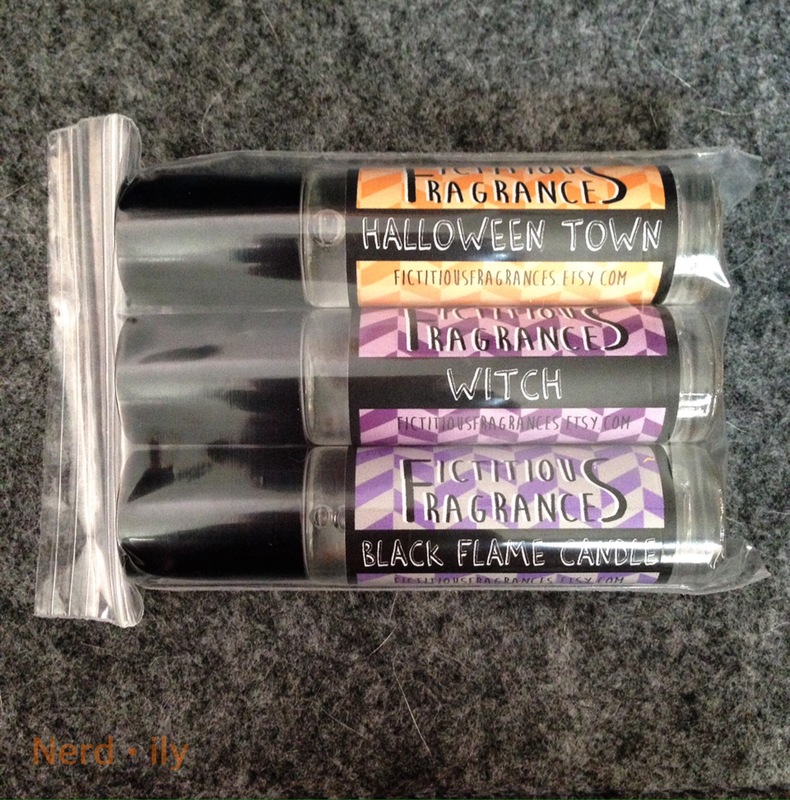 Not only do they have a limited edition Halloween scent line, but they carry fragrances that are Halloween-themed all year. Um, YAAAS. The first fragrance that caught my eye was one called Halloween Town (themed after The Nightmare Before Christmas). This scent has hints of pumpkin, cinnamon, and clove, but in a light and refreshing way. The next one that I got was Black Flame Candle (from Hocus Pocus). This scent is described on their site as a blend of “chicory, amber, cypress, black pepper, saffron flower.” It’s an interesting scent: very clean and earthy. The last one I grabbed is a scent that’s part of their limited edition Halloween line, which is based on famous monsters and creatures. I decided on Witch because I thought the mixture of “Pine, juniper, sage, lavandin, berries” piqued my interest. This is, by far, my favorite in the group. I like them all, but I love how clean, crisp, and lovely the scent is. Definitely grab this one before it’s gone. The shop also sent a sample of another Halloween fragrance, called Kelpie, which is also amazing. And all of the scents I tried out are available in other items like candles and wax melts. If you’re into geeky-themed home and beauty goods, then head over and check out what Fictitious Fragrance has to offer. As you know, I ADORE Espionage Cosmetics and their products. I use their nail wraps all the time, and have had a great experience with them. 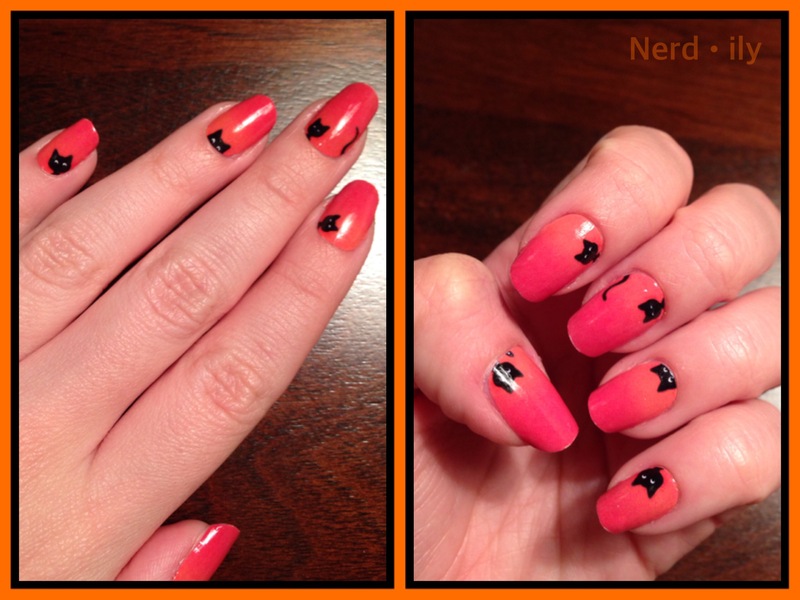 Right now, they have adorable Halloween designs for their nail wraps, including this precious kitty cat look. I mean, HOW CAN YOU NOT? Though these were not released specifically for Halloween (as far as I know), they do sport Halloween colors and feature adorable black cats. And, THEY FREAKING GLOW IN THE DARK. Espionage Cosmetics carries other Halloweeny designs, like their Graveyard and Redrum nail wraps, and you can even preorder their Halloween edition VandalEyes design! Super easy to use, and super spoopy, too! Jordandené makes the best nerd shirts out there. I own several tees and tanks, and they are super comfy and stylish. Most of their designs are always available, but there is an exception: each month, Jordandené features a limited edition design at a discounted price. However, if you don’t get that shirt by the time the next month rolls around, you are SOL. The Shirt of the Month for October is absolute perfection, mainly because it’s a Hocus Pocus-themed shirt. I mean, LOOK AT IT! Conveying a spooktacular message, this shirt will keep Halloween night alive for years to come. Though I haven’t ordered this shirt yet, I will have to before the month is through! Pair it with Fictitious Fragrance’s Black Flame Candle roll-on perfume, and run amok amok amok this season with Hocus Pocus fever! It’s pretty much the definitive Halloween movie. What do you do to keep Halloween alive all year long? Have you tried any of the goods here? Let me know in the comments below! And if you’re ready for more tricks and treats, then prepare yourself for an absolutely spooktacular DIY to get you looking positively ghoulish! *Please note: I was in no way sponsored to discuss/review these products. I purchased these goods with my own money, and I’m featuring them here on my own accord. I’m looking for a good facial moisturizer. Does witchy baby soap have any good ones? Not that I’ve seen, but I was just thinking that something like that would be really nice from them. For facial moisturizers, I recommend TonyMoly’s I’m Real Avocado face cream. That one is a little richer, so it’s good for nighttime, but they have a great line of products. Those nail wraps are so freaking adorable… and the soap goods? So much want! These are some great goodies! I especially love the nail wraps! I highly recommend them. They last for so long and they glow in the dark!! Love those nail wraps! And the body butter sounds wonderful…I love a good body butter in the fall & winter months! This one is super rich, too! One of the main ingredients is coconut oil so it sinks in nicely. It’s on every list for sure!